Cleaning parquet flooring – how to clean wooden flooring? Just as any other wood flooring, parquet requires special cleaning and maintenance so that it can maintain its lustre for a long time. And surprisingly, it is not all about the cleaning either. Firstly you must try to prevent scratches on the surface. For example, you should never wear stiletto heels on the wooden parquet flooring. 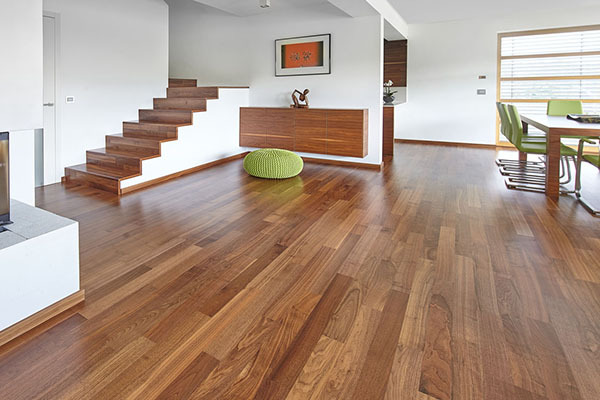 Caring for parquet wood flooring also requires regular cleaning. You should be cleaning wooden parquet flooring once a day or every couple of days to get rid of the small bits of dirt that build up on the floor and are able to make scratches in your parquet flooring. In addition – while cleaning your wooden parquet flooring, try to avoid generic cleaners and abrasive cleaners or steel wool to clean your parquet floor. Can you refinish parquet flooring? Although refinishing a parquet floor does not sound very desirable, it is possible to do it with the right technique. If the finish on your parquet is wearing off or you have a lot of scratches cleaning will not help so it may be time to refinish. Firstly, you should clean the area. Then you should sand the parquet and after that clean the dust. If you want to give the floor some type of colour, you could now stain it with the appropriate stain. Wait for the stain to dry and then apply a coat of polyurethane sealer to the top. As you see in this process you can also sand parquet flooring. We are offering you parquet flooring of very high quality. You can choose from different types of colours and types. You can choose cherry parquet flooring or any other wooden parquet flooring. Don’t miss our sales period and buy yourself your favourite parquet flooring.